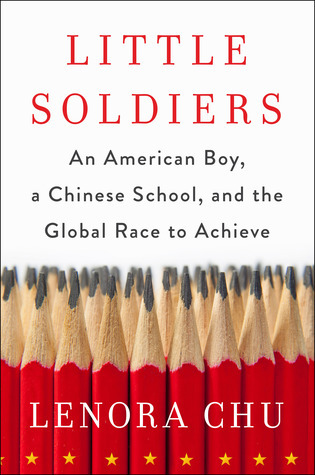 An American parent living in Shanghai, author Lenora Chu looks at the good, the bad, and the different of China's acclaimed education system in her new book, "Little Soldiers." When Chinese-American journalist Lenora Chu arrived in Shanghai in 2010 with her family, she did what many parents would do — found a top-performing school to enroll her then three-year-old son. After all, Shanghai had just scored at the top of the PISA and was being lauded worldwide for its high performance. But quickly, Chu and her family were met with immense challenges and experienced culture clash as they tried to adapt to the Chinese way, which largely emphasizes group progress over individual students. Chu shares the anxiety-ridden experience in her book, Little Soldiers: An American Boy, Chinese School, and the Global Race to Achieve. “We praised Chinese education but what I saw on the ground was different — public shaming, one art teacher trying to teach rain as only falling from the sky in little dots…,” she says noting, there was little room for creativity or expression. The stark contrast between Chinese and American education consumed Chu as she opened a personal investigation leading her throughout both countries to gain insight and understanding. In this Harvard EdCast, Chu discusses her experience with the Chinese way of schooling — including the positives, such as academic rigor and respect for teachers — and suggests what the United States and China could learn from each other regarding education.